MDugarchomp is an appropriation artist from Boston with a penchant for Pokémon and modernist painter Charley Harper. 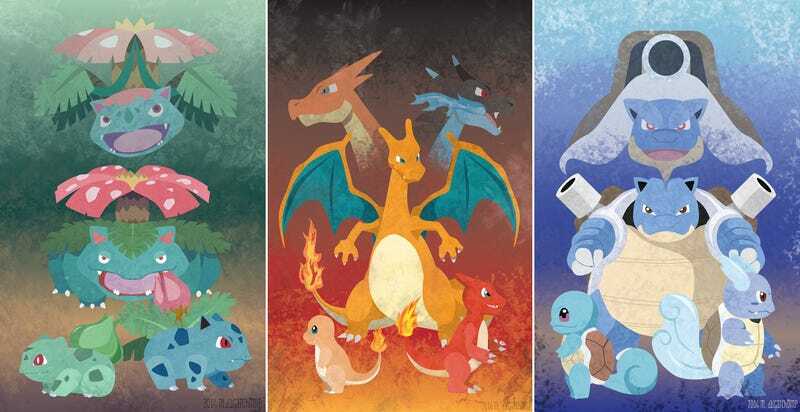 Her latest big project, a trio of posters, depicts the Generation I starter Pokémon and their evolutions. If you wanna see more, check out the rest of her stuff at Tumblr, Etsy and/or deviantART.